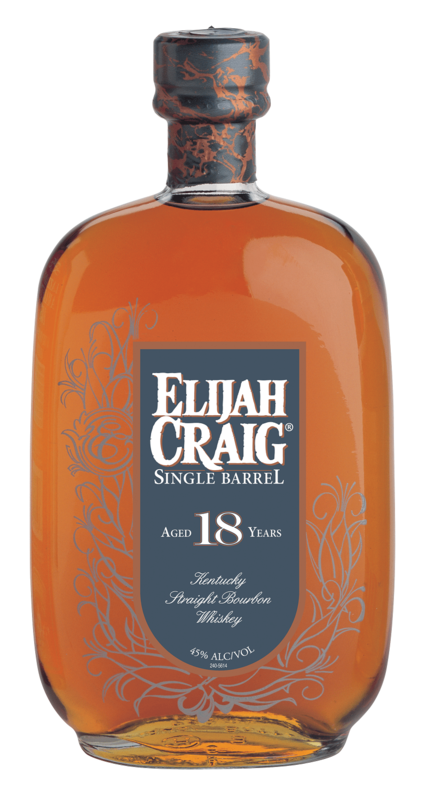 Elijah Craig 18 Years Old was originally released in 1994 — but you probably haven’t noticed it on the shelves for the last three years, as the expression has been on “hiatus” due to a lack of available 18 year old bourbon barrels. Now EC18 is finally back, and for my money, this is Elijah Craig drinking at just about the height of its charms. Get much older (see our 20, 21, and 23 year old EC reviews), and the wood begins to get in the way of what can be a delicate and effusive spirit. Here we find Elijah sporting a lightly floral nose, honeysuckle mixed in with butterscotch and ample vanilla notes plus hints of barrel char. On the palate, things are firing on all cylinders. First a rush of sweetness, but there’s no sugar bomb here. Rather, that sugar takes a darker turn into molasses, dark cocoa powder, and a touch of bitter roots where that dark barrel char makes itself known. The finish is slight sweet relief, a torched, creamy creme brulee that offers a touch more of that floral note alongside an echo of chimney smoke — a balanced whiskey that melds fire and flowers into a cohesive whole. 90 proof. Reviewed: Barrel #4090, barreled on 6/16/97. Where did you find such a great spirit? I’m in the Chicago area and need to start calling around…. Big fan of Heaven Hill and I loved this bourbon when it was widely available a few years ago. Smooth, complex, like good cognac. $40 a bottle was a good value. Not 120.00. Others with similar characteristics are out there with a better value. Still, I’m glad its returned. Maybe the price will drop.